The Canadian Cat Company Blackhole Litter Mat Select provides your cat with a large, velvety-soft area around its litter tray and also makes your life easier by keeping the area clean and hygienic. 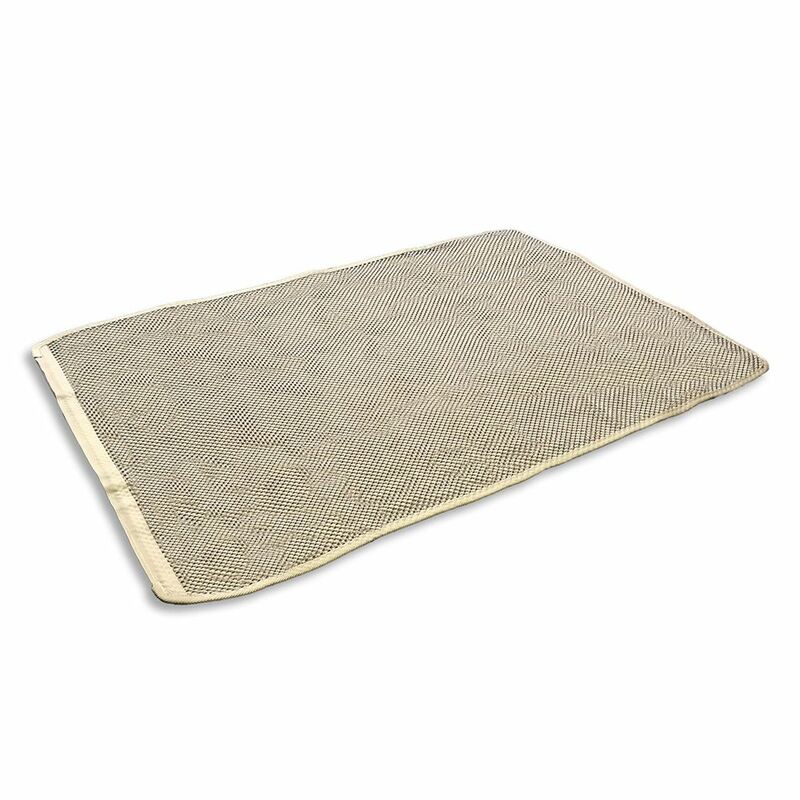 The innovative and attractive design of this mat collects the superfluous cat litter, as it falls through the hard-wearing foam mesh into the underlying collecting mat. The revolutionary two-layer system ensures clean paws and a clean floor, keeping your home hygienic and stopping your cat from tracking litter beyond the litter box. Anti-slip nubs on the underside of the mat provide the neceΒary grip on a smooth surface. To empty this lightweight mat, simply lift it up. Both layers are opened using a handle and the Velcro on the side. The cat litter can now be quickly disposed of into the litter tray or the rubbish bin. The mat is easily cleaned under running water. Canadian Cat Company Blackhole Litter Mat at a glance: Innovative mat for using around the litter box Large clean area for your cat Revolutionary two-layer system: the solution for stray scattering Soft, durable foam mesh: allows litter to fall through Base mat: catches the litter so that it can be emptied Velcro: a firm hold and easy opening of the two connected layers Hygenic: clean paws – no more tracking loose or dirty cat litter outside the litter box Anti-slip bumps prevent the mat from slipping on smooth floors Easy to clean: washable under running water Colour: Foam net: grey with sand-coloured edges Base mat: sand-coloured Material: Foam net: high-tech foam (PVC) Underlying mat: 100% PVC (woven fabric) Dimensions: Litter tray mat: 90 x 60 cm (L x W) Honeycomb openings: approx. 4 x 4 mm Please note: After cleaning under running water, the litter tray mat should be left to dry completely before it is used again.